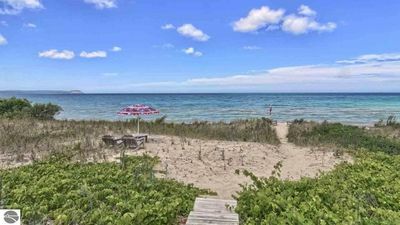 Twin Birch cottage is a wonderful spot for your family or a group of friends looking for the perfect home to enjoy all that the Leelanau Peninsula has to offer. 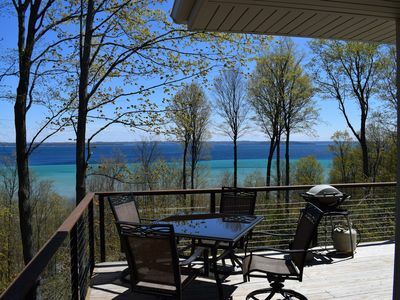 This spacious house, set on North Lake Leelanau, has 153 feet of lake shore and provides you with everything necessary for the perfect vacation. 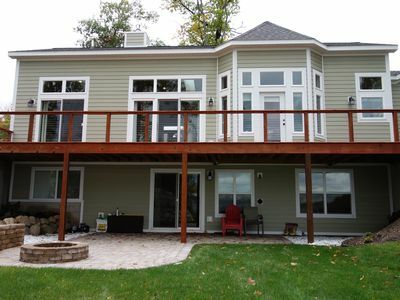 Gardens, decks and outdoor living areas deliver a beautiful and relaxing atmosphere where views of the lake provoke the anticipation of glorious sunsets. Bring your own boat or rent one! 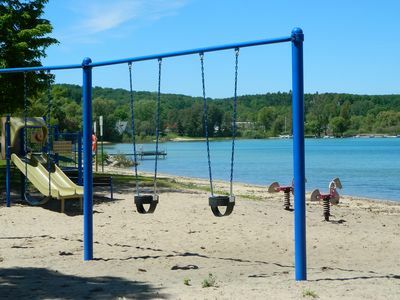 It is a two minute walk from the cottage to the park's public access where you'll find a public boat launch. 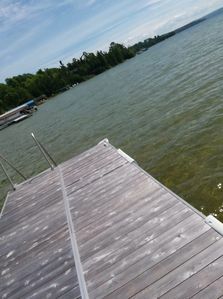 There is also a permanent mooring for windy days and dock side tie up for calm days. 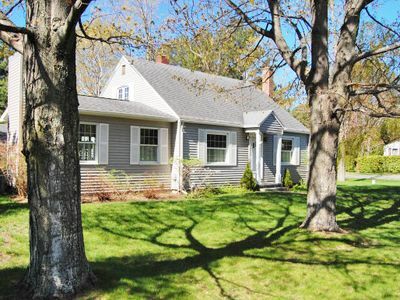 This family home has everything you need for your stay. Meal preparation is easy in our spacious kitchen or on the Weber propane grill. 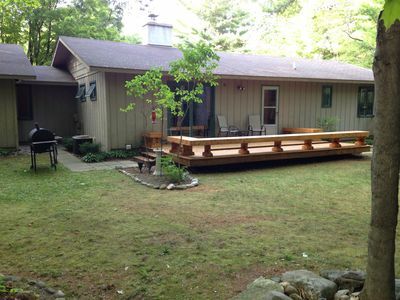 If you prefer lakeside grilling, we have a great camp charcoal grill steps from the lower level deck. Internet access and wi-fi are available. 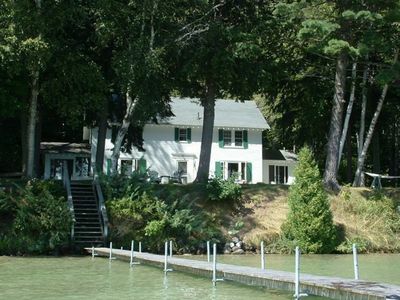 Three of the home's four bedrooms have direct access to the lake. 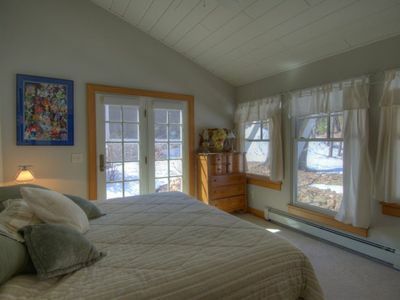 The master bedroom, with a brand new KING bed is located on the main floor. Queen beds furnish two of the lower level bedrooms and a twin trundle furnishes the third. A crib and port-a-crib are available upon request. 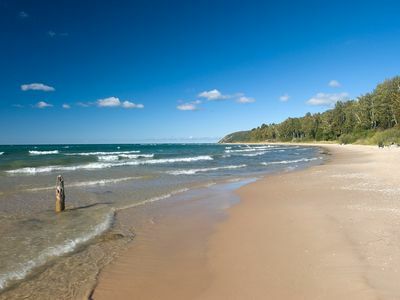 If you're looking for a little action after a day of playing and relaxing on the lake, take a short drive or boat ride to Leland where you'll enjoy hunting for Petosky stones on Lake Michigan's beautiful white sand beach, strolling through the shops in downtown Leland, or taking in the picturesque sights in Historic Fishtown. There is plenty to interest everyone in your group with unique shopping, great restaurants, art galleries, a village grocery store, library, and much more. 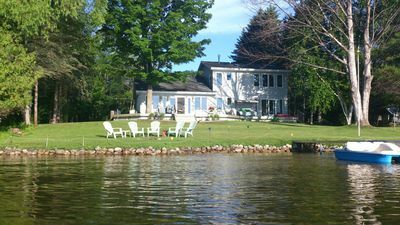 The cottage's central location provides the perfect base for exploring along one of Michigan's Scenic Byways, M-22. 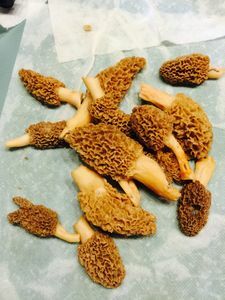 Nearby attractions include the exhilarating dune climb at Sleeping Bear Dunes National Lakeshore, the Grand Traverse Lighthouses, numerous award winning wineries, and the quaint villages of Glen Arbor, Suttons Bay and Northport. 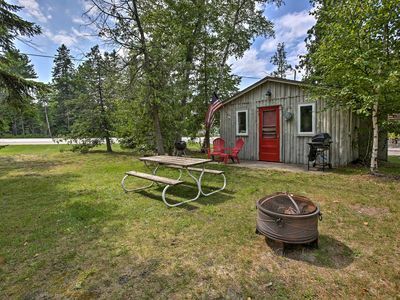 If you are a biker, this is the perfect base to enjoy a ride around beautiful Lake Leelanau on the wide shoulders and bike lanes. If you're a golfer, our cottage is a wonderful home base to the area's spectacular golf courses. 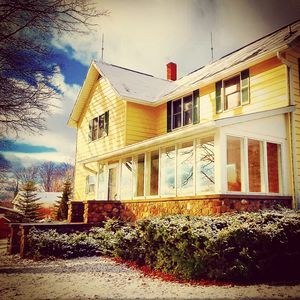 The Leelanau Peninsula is truly a year around get-away with spectacular autumn colors and many summer and winter activities. Come experience the perfect spot to enjoy a vacation and build family memories in the 'Land of Delight'! Twin Birch is Pure Michigan at it's best. Cleaning fee and taxes will apply. Sorry no pets and no smoking. 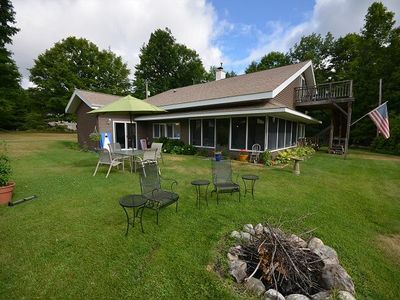 Convenient Location To Lake Michigan And Lake Leelanau Public Boat Lunches. 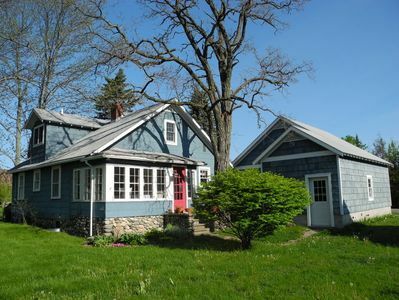 Lovely and Charming Home in Picturesque Downtown Leland. Walk to Beach! 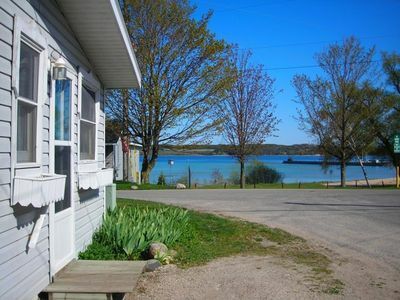 Charming Suttons Bay Cottage w/Shared Waterfront! 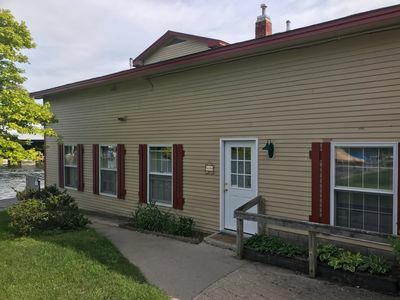 Condo in Leelanau County minutes from nature, Traverse City, Cherry Festival. 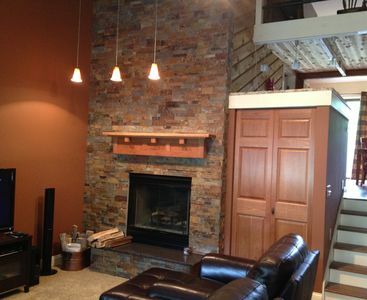 Leelanau County Wine Country Luxury Custom Home!